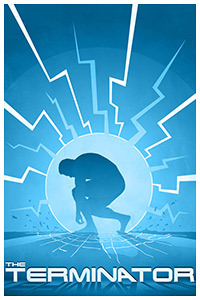 The Terminator series is a science fiction franchise encompassing a series of films and additional media concerning battles between Skynet's artificially intelligent machine network, and John Connor's Resistance forces and the rest of the human race. 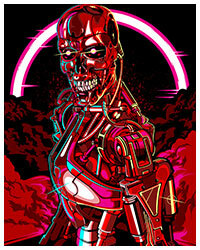 Skynet's most well-known products in its genocidal goals are the various terminator models, such as the original "Terminator" character, portrayed by Arnold Schwarzenegger in the first film. 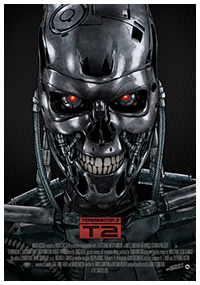 Schwarzenegger also portrayed other Terminator characters; however, it is made clear that these are different units. 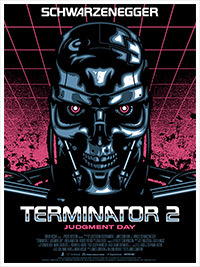 The latest film in the franchise is Terminator Salvation, released in 2009 while Terminator, the reboot of the series, is due for release in 2015.